The Detroit Lions were born as the Portsmouth Spartans and played out of Portsmouth, Ohio. Those first games were played in 1929, and that makes the Lions one of the oldest teams in the NFL. The franchise was bought by George Richards in 1934 and moved to his hometown of Detroit. Ford Field hosts the home games of Detroit Lions Football and has done so since 2002. It also serves as an entertainment venue when the Lions are not playing. The 65,000-seat stadium has a glass dome for comfort in the winter that still lets in an abundance of sunlight and a host of uniquely Detroit concessions. It also incorporates a part of the old Hudson's Warehouse as part of its structure. 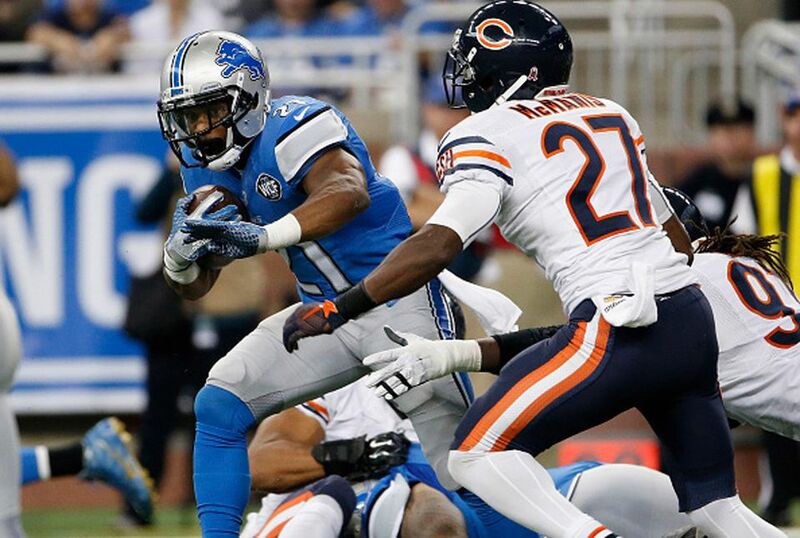 Check out the schedule for home games for the Detroit Lions. The Detroit Lions started the whole concept of a Thanksgiving Day Game back in 1934. The first game was played as a way to increase attendance during the Lions' first year in Detroit. It has been a tradition to watch the Detroit Lions play on the holiday ever since. Tailgating is a Detroit Lions tradition. Whether you tailgate in an official Ford Field lot, Eastern Market, or elsewhere, the Guide to Tailgating will give you information about where to meet up and fill up, the type of crowd to expect, security, fees, and a whole lot more. The last time the Lions won their division title (NFC Central Division) was in 1993 when they beat the Green Bay Packers at the Pontiac Silverdome. They went on to lose to the Packers in the playoffs. The Detroit Lions played in the wild-card round the last three times they played in the NFL playoffs. In 2014, Detroit lost to the Dallas Cowboys, 20-24. In 2011, the Detroit Lions lost to the New Orleans Saints, 28-45. In 1999, they lost to the Washington Redskins after breaking even in the regular season and coming in third in the NFC Central Division. The last time the Detroit Lions played in the NFC Championship game was in 1991. Barry Sanders helped the Lions win the NFC Central Division with 12 wins, and the Lions beat the Dallas Cowboys in the playoffs. While they went on to play in the NFC Championship game, they lost to the Washington Redskins,10-41. The last time the Lions won the NFL Championship was back in 1957, when they beat the Cleveland Browns 59 to 14 at Briggs Stadium. Head Coach George Wilson took over that season from Raymond “Buddy” Parker, who had led the Detroit Lions during their greatest era of success: The Lions beat the Cleveland Browns to win the NFL Championship in both 1952 and 1953. The Lions played in the NFL Championship Game of 1954, but they lost to the Cleveland Browns that year. How Many Stanley Cup Victories Have the Detroit Red Wings Had? What Is the Best Way to Tailgate at a Detroit Lions Game? What Is the Legal Gambling Age in Metro Detroit?